I took part in a ‘conversation’ on the theme of Spaces of Democracy yesterday at UCL, organised by Liza Griffin and others, one of a series of events co-organised by the Bartlett School and the OU’s OpenSpace research centre. The other participants were Erik Swyngedouw and Mustafa Dikeç. I gave a potted version of the argument of the book I’m meant to be writing, in response to the question ‘Does democracy need the city?‘. 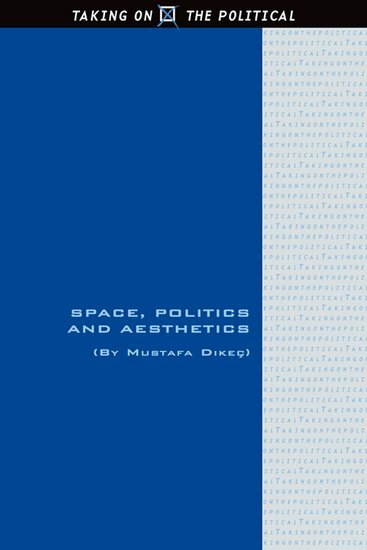 Mustafa has a new book hot off the presses, Space, Politics and Aesthetics, about thinking spatially about politics alongside Arendt, Nancy, and Ranciere. There is already one review available here. This entry was posted in Books, Geography, Philosophy, Politics and tagged Democracy, Mustafa Dikeç, Urban Theory by Clive. Bookmark the permalink.